Welcome to our new Mini Police team- Andrew, Lacey-Mae, Shania and Liam. Following elections these children have been selected and we look forward to seeing them helping around school making a difference. We have been asked by our Community Officer PC Sarah Lingard if you would be willing to complete a Lincolnshire Police survey in order for lincolnshire Police to assess your views on community policing. 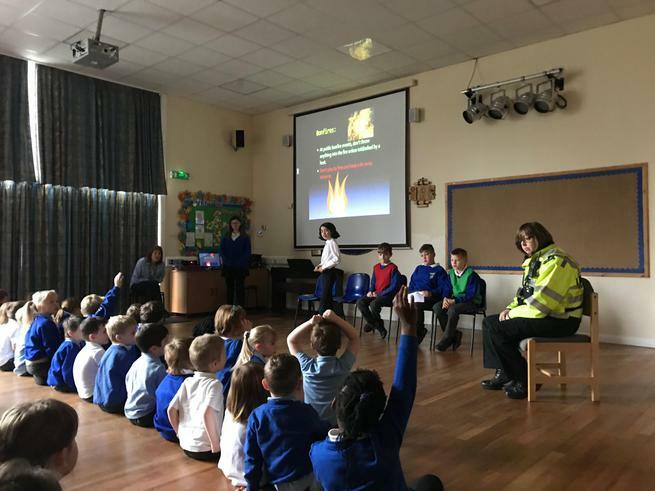 The role of the JPCSO is to work with school staff and Lincolnshire Police to be good citizens within the school environment and be helpful to other children. 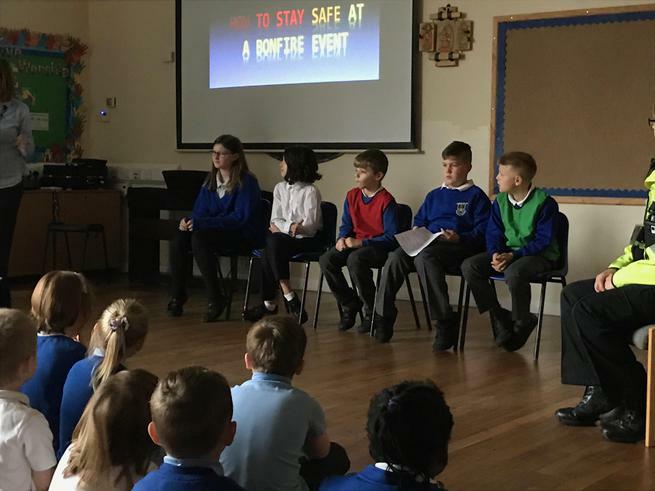 In March the JPCSO's held an assembly on 'Diversity'. They explained to the school how important it is to celebrate differences amongst ourselves. 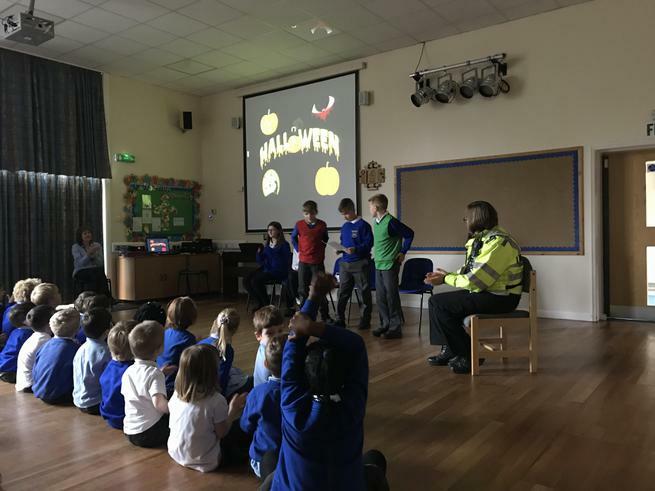 HALLOWEEN AND BONFIRE NIGHT ASSEMBLY. 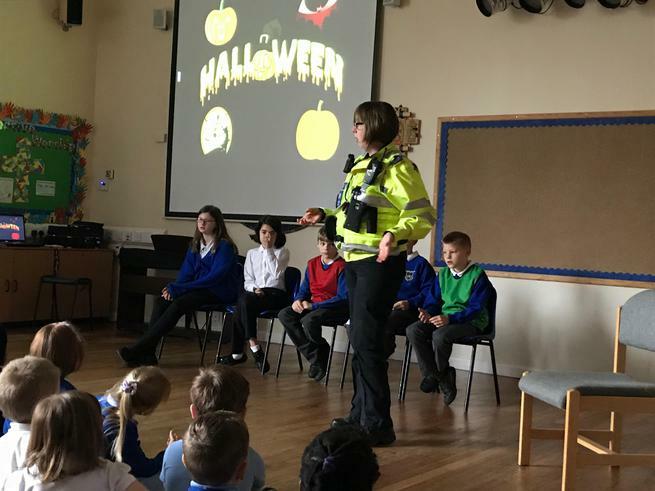 On Tuesday 31st October the Junior Officers delivered their first assembly of the year on the importance of safety during Bonfire Night and on how to have a Happy and respectful Halloween Night. They did a super job delivering very important messages. Well done! On Tuesday 13th June our JPCSO's were busy helping to code pupils bicycles with the owners postcodes in case they are ever stolen. Thanks go to Community Police officer Sarah Lingard and Mrs Cook for organising this. 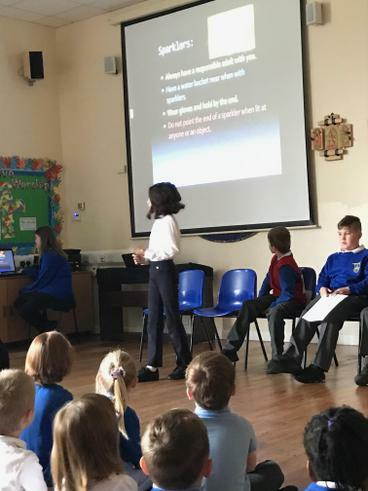 On Tuesday 21st February the whole school listened to an informative assembly on the theme of 'Diversity' delivered by our school's JPCSOs. Sarah our local Community Police Officer also attended. 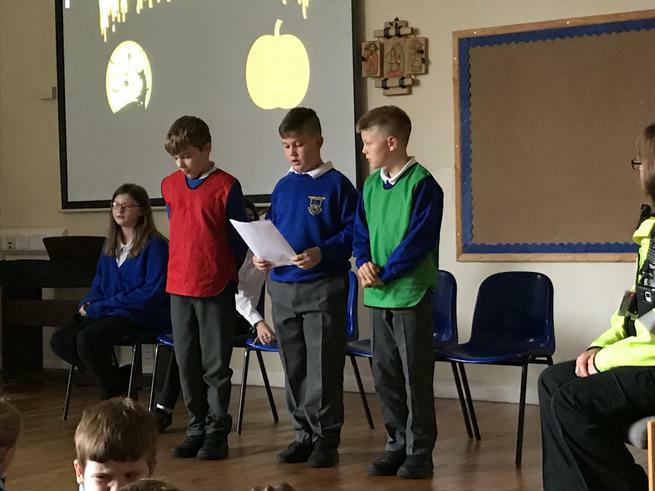 The school community was encouraged to think about how we celebrate Diversity and differences in our school as part of our British Values curriculum. Mrs Cook and our JPCSOs did a great job in delivering this important message to our school.